Souvenir NameLuminous BraceletProduct Size1.28X20 CMProduct Net Weight30.. Souvenir NameRibbonProduct Size35X1 CMMaterialRibbonImprint SurfaceRibbon.. Souvenir NameHand BannerProduct Size50X15 CMMaterialNonwovensImprint SurfaceNonwovensMax. Imprint Ar.. 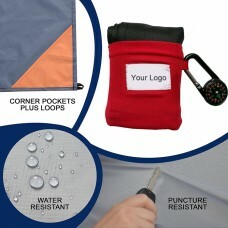 Souvenir NamePocket Outdoor BlanketMOQ100 PCSProduct SizeUnfold: 140x152 CM; Fold: 10x13x3 CMMateria.. Souvenir NamePocket Outdoor BlanketMOQ1PCMaterial210D Oxford ClothAvailable ColorBlue, Green, Dark G.. Souvenir NamePocket Outdoor Blanket with CompassMOQ100 PCSProduct SizeOpen:112x160 CM; Fold:10x12CMM.. Souvenir NameClimbing Stick with LEDMOQ100PCSProduct Size50-135 CMMaterialAluminum Alloy + PlasticIm.. Souvenir NameHammockMOQ100pcsProduct Size2.8x0.8 MMaterialClothImprint SurfaceClothAvailable ColorWh.. Souvenir NameFinishing Line TapeMOQ30PCSProduct Size460x20CMMaterialClothMax. Imprint Area450x18CMAv.. Souvenir NameLED WristbandMOQ1PCProduct Size25x4 CM/35x4 CMMaterialNylonImprint SurfaceNylon..